...and the pounds will look after themselves. A reasonably well known proverb that simply means if you focus on saving many small amounts of money you'll soon amass a large amount. It’s also a proverb that in the circle of people I associate with both at work and in my personal life seems to not get a lot of attention. I’m a little different and so it’s a proverb I’ve lived throughout my journey to financial independence and one I continue focusing on even as I sit here typing this post with over £1 million of wealth to my name. Let me give a couple of examples of it in action over the past few weeks. The financial services industry is a voracious beast that is continually trying to devour as much of its host as possible without its host noticing (all in my honest opinion of course). I showed this previously by referencing a Grant Thornton study that concluded that someone entrusting £100,000 for 10 years to a UK financial adviser or investment manager would pay an average 2.56% annually for financial planning services and financial product expenses. In contrast to this my work defined contribution scheme extracts 0.6% in annual expenses from me. Sounds like a great deal in contrast but in relation to what I know is possible I know it’s still expensive. I choose to be a part of the scheme because it allows me to receive free money in the form of an employers match to my contributions up to a contribution limit. Additionally by salary sacrificing I save on employees National Insurance and my employer saves on employers National Insurance for which they also pay some of the savings they make into my pension (I actually think it’s derogatory that they don’t pay all of the savings but that’s for another day). Amazingly some people in my company don’t seem to be contributing to the scheme at all which is just turning down free money but the remainder I’ve spoken to seem to be happy just leaving their pension investments in that scheme which means they are losing 0.6% of their wealth every year. Of course I’m not average in this regard so what I do is take the free money and let it slowly build up in my work pension. However I don’t stop there. Instead when Hargreaves Lansdown, who is one of my SIPP providers, has a cash back offer for transfers I then do a partial transfer to my SIPP. They have an offer on now and so I made an electronic partial transfer request for £10,000 and the money was transferred into my SIPP within 3 days. I then proceed to buy Vanguard ETF’s with average annual expenses of 0.15%. On top of that you would then normally pay SIPP annual charges however I’ve carefully selected Hargeaves Lansdown for my SIPP (use the excellent Monevator comparisontable if you want to find a provider who is right for your circumstances) because if you only buy Shares, investment trusts, ETFs, gilts & bonds expenses become capped when you have wealth of £44,445 in the SIPP. I’m above that level and so my SIPP annual expenses on the transfer will be 0%. So what does that means in pennies terms? For an investment of less time than it’s taken to write this blog post so far I’ve saved £10,000x(0.6%-0.15%)=£45 annually plus I received £20 cash back from Hargreaves Lansdown. 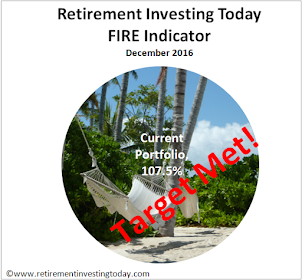 Additionally, as the expenses are a percentage of the portfolio value this annual saving should grow with time as the portfolio (hopefully) grows from both dividend reinvestment and capital gains. It is also my experience that loyalty is now very rarely rewarded by companies. In fact it’s quite the opposite in many cases. Banks and the savings accounts they offer are one of those cases. So again it’s time to look after the pennies. I have a number of savings accounts that are holding money ready for an eventual home purchase. One of the providers of one of these accounts has been treating me like a boiling frog and slowly reducing the interest paid 0.1% at a time. It stood at 0.5% so it was time to take action. I’ve opened a new savings account with a new provider who is prepared to pay me interest of 1.25% on my savings of £68,000. So what does that means in pennies terms? Over the course of a few of weeks this did take me about an hour of effort to complete. In exchange for that time I’ll gain £68,000x(1.25%-0.5%)=£510 annually. In summary I spent less than 2 hours of my time looking after the pennies and it’s given me back £555 annually plus a one of £20. To me that seems a worthwhile endeavour. Are you doing similar? Please do share your tips for others below. Nice work on stashing £120k into a pension by age 36. In comparison on my 36th birthday I had £58k within pension wrappers. So you're a long way ahead of me. Are you looking to build that S&S ISA amount fairly rapidly? - Pensions are ripe for government tinkering and they have form. Does your 55 plan work if/when the government move the age you can get access to your private pension from 58 to 60 or even 65. - S&S ISA's are a use it or lose it allowance. I wish I had of started using them much earlier than I did. - At the same point I was well behind you pension wise and for me the lifetime allowance risk is now very real. As they move the private pension access age that's going to become even more problematic for the prudent who use pensions. It will be relived a little if they start uprating it with inflation as promised but they need tax to fund their follies so I'll believe it when I see it. That brings me great comfort as I look at your numbers in awe but I guess like you say time is on my side. As am example I had 56k k saved 5 years ago so Yes with hindsight the gains plus stashing about 15k a year is having a marked effect. I've always taken the view ill stash pensions while I don't have kids in the knowledge I'll probably have to reduce the level of contributions (currently about 15% of salary). Yes a divorce 3 years ago somewhat derailed alot of my planning! I've now paid down my mortgage to the point I can fix the cost for ten years which I have now done. I get two large retention bonuses In the next 3 years. 25% next year and another almost 100% of annual salary. I'll hold My nose and pay the tax and take these as lump sums rather than stashing in the pension in the knowledge I Want to have flexibility. I'm also contributing about 400 a month to SAYE SCHEMES which will. Mature in 4 years or so and this will be put straight into my isa. I'm stashing a very small amount 200 a month in the s and s isas but will add additional payments as and when I can. Thanks for sharing the extra detail Fatbritabroad. Sounds like you have the non-pension savings in hand. Just one thought. Of course I don't have all the detail but in a 2 year period it sounds like your bonuses might exceed the ISA allowance for each of those years meaning you'll end up with some non-tax efficient investments until you can stash it into ISA's in future years. On top of that for those 2 years you're going to be paying a lot of tax. Could it be worth paying a bit more into the ISA now (only £2,400 per month) at the expense of the pension and then increase your pension contributions while maxing the ISA in those 2 years? I did this after I retired last year, and was pleased that £151k was transferred so I got the higher tier bonus. I'd negotiated a deal with my (small) company to pay minimum wage + everything else as salary sacrifice pension, and they were convinced by my calculation that giving me employer and employee NI was cost neutral to them. Saved me £10k a year in tax/NI, best wheeze in Britain. £500 is a lot of money but being out of the market for a reasonably long time could cost you a lot more (it could save you a lot as well of course). That's why I like the electronic transfer method as from what I can tell I was only out of the market for 1 day. Why do you need to keep £50k in the pension? When I first looked at partial transfers the 'expensive insurance company' 'pension advisor' made it all seem difficult and complex. That included difficulty in finding their transfer forms. It was of course nothing of the sort with me having to actually do nothing with my current work provider and HL doing everything. I always cringe when I hear the "There's no difference between an ISA and a pension as regards tax relief. With an ISA you are taxed on the way in but the proceeds are tax free and with a pension it's the other way round." argument. As most here would know, that doesn't take account of the additional saving in NI conts for salary sacrifice, plus the 25% tax free cash (ok that may be changed at some point) plus a lot of higher rate taxpayers will be basic rate in retirement anyway. Salary sacrifice to me is a no brainer. Especially the closer you are to retirement. @Willy - unless, of course, the Government changes the rules! I agree about SS, but the £1m lifetime allowance argues against pensions, while being IHT exempt (which I think is daft) argues in favour. Being able to pop money in and out of an ISA, to bridge a house move, is also attractive. - option 2. Taxed at 0% on the first EUR3,420 and then a flat 5% on any extra amount. - I would have option of extracting my pension at a very rapid rate for very little tax if rule changes are afoot, I need a chunk of money urgently or if there is a Lifetime Allowance BCE problem looming (can't avoid BCE event 1 problems but could do something before some of the others). The negative to Cyprus is no 25% TFLS. Free money - yes that has been a priority for me. 3 sharesaves, another scheme that buys company shares deducted before tax and NI (have to then be held for 5 years so no risk free) and then pension contributions and now AVCs. Others at work say they can't afford the pension never mind the rest (a mix of people really)....some late 50's and bought their houses whilst I was at school. I just think I can't afford to pay all that tax, they must be wealthy to feel 40% tax is a good deal. I don't judge though...just observe. Savings at 1.25% in a new BM account this weekend, premium bonds, 2x clubs Lloyds, 2x Santandar current accounts, 2 X reward accounts. Still very poor returns overall but hoping for £5k a year. Genuinely feel for the generation rent behind me who will struggle. My mortgage was repaid in my early 30's (well sort of...I had the cash)....so appreciate I had a lucky lift. But I have saved and penny pinched since 15. We had £10k deposit in 1986 which was 33% just because I saved from my cleaning jobs. At 49 there is now a massive shift where I will remain frugal but need to learn to spend. Last 5 years have been full of travels and that spending will step up as I give up work last year. Key now is to find a cheap SIPP and consider transferring out my pension without paying an adviser £20k and £7k a year....that's when the pennies really will count. Edit. Give up work next year...not last year. I've never done the current account that pays 1,234% interest on amounts between £27 and £32 provided you turn the light switch in the bathroom on 4 times every Monday thing. I've always thought of them as unethical in that they're trying to pull in the punters with the headline rate while then planning to give nothing of substance in return. Might be worth another look. For some there are several things in offer am that you can almost attempt to treat your salary as a Comoany director might. I see very little of my gross pay..I live from assets...but of course that is because I intend to access my pensions and shares when j give up work in the near future. I see S&S ISAs mentioned, which I use and max the allowance every year. But there is a problem in that once I move abroad to my target destination, I lose all the tax free benefits, not to mention I may not even be legally allowed to maintain the account. At that point I'll have to find a replacement. What is the strategy here taken by other folk? - Cyprus. If you're a non-domicile of Cyprus (which I'll be) I'll pay no tax on dividends or interest for the first 17 years of residency. Also only CGT only on immovable property in Cyprus (with some allowances). - Portugal. Readers have previously mentioned a scheme where new residents pay no tax for the first 10 years. - Malta. If you're a non-domicile only tax on income remitted into Malta which would allow some tunes to be played. Also no CGT last time I looked. Warning ! After pressure from other E.U. governments Portugal is in the throes of radically altering the 10 year no tax rule on pensions,please do your homework before making any decisions. I recently transferred L&G stakeholder (1pc fee pa) into the HL SIPP, got the loyalty bonus and now saving over £200 per year. I just upped the SAYE - lets you buy shares for 80pc of current price provided you save for 3 years. And we have a share match scheme that comes out of pre-tax earnings which I maxed out. In the workplace scheme I've always paid contributions to gain the majority of matching contributions. Fees arent too bad - 0.30% all in provided you remain in "simple" fund range. But I wanted different funds so did partial SIPP transfer. Now realising that lifetime cap is something that could bite so looking to shift balance towards iSA's. One thing I'm not very prosctive about is rate on cash ISA, not sure how easy it is to transfer, mind. I'm not sure if you've explained this anywhere before, but do you salary sacrifice down to a fixed lower salary for the whole year, or do you take a high salary for 6 months and then get paid the minimum wage for 6 months for example? The reason I ask is that employee's national insurance is calculated on a weekly basis, so the 12% band up to the UEL of £866 per week can be partially avoided if you time your earnings correctly, based on my understanding of the system. I can't find anything online about this strategy so I thought I'd see if you or other readers had used it successfully. Decided to double-check my pension charges after reading your post and got a bit of a surprise. It seems I've been paying an additional 0.5% commission that goes back to the Financial Advisory company that set the pension up with Scottish Life (now Royal London) in 2011. And because it's "pre-RDR", I'm locked in as it's apparently written into a contract. 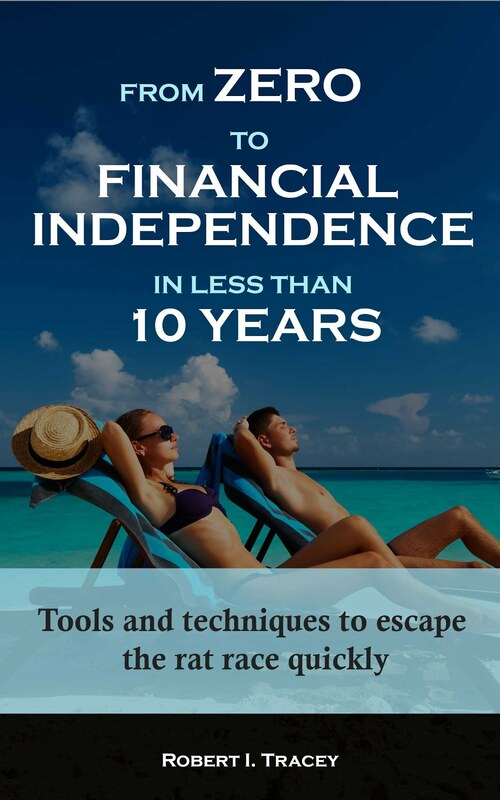 Only closing it down, setting up a new pension, transferring the funds in and incurring a 3% fee will free me of it. Or transfer out into a SIPP I have. That kickback isn't mentioned anywhere on the documents I have and as far I was aware, I was paying for everything up front in the first year using a % of my contributions. This is the reason I took so long to get a pension sorted out, I was worried about hidden fees and here we are. Glad by far the bulk of my money is in a stocks and shares ISA. Is this kind of thing normal/OK? For anyone else reading, the FA is going to move the fund into the commission-free equivalent free of charge because I hadn't actually signed anything with that additional 0.5%. The FA had phoned in to request it in addition to the up-front fees without my knowledge! !